Summerland: a little piece of coastal wonderland founded by early Spiritualists and named, appropriately, after their term for heaven. White sand beaches, small shops and friendly local characterize the town. 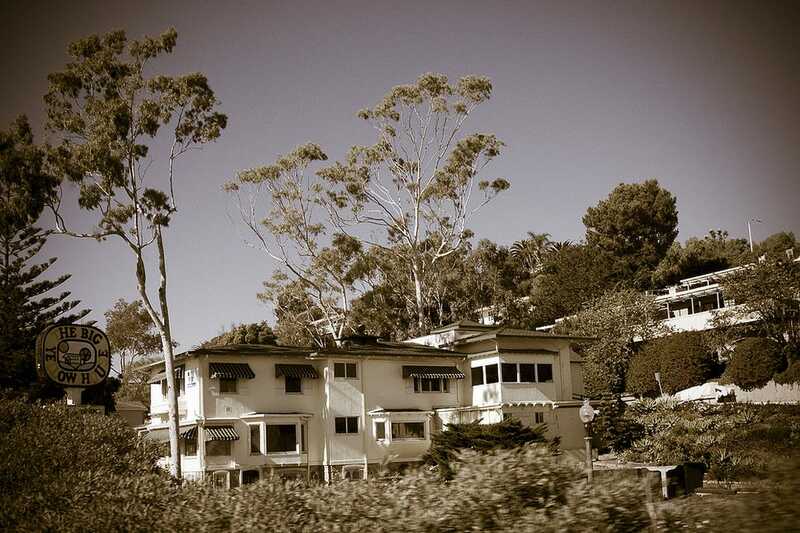 Victorian and Craftsman houses dot the hillside. Just a 10 minute drive from Santa Barbara but it feels like another world. Summerland Beach is such a wonderful beach that many people who are living or staying near the ocean Santa Barbara will drive south just to go to this one. With wide shores and nearby park access (with showers), this one's a real winner. You may even find a clam or two buried beneath the sand! Summerland is a very small town with just one main street. There are few shops and fewer restaurants, at least compared to neighboring areas. Here, your can't-miss stops are both burger joints: Tinker's Burgers and Stacky's Seaside. Which one is better? Well, that is hotly contested among the locals. Try them both if you have the stomach for it! While there aren't a lot of places to stay in Summerland - it's a very small town with barely room for the houses - there is one cozy bed and breakfast, the Inn on Summer Hill Summerland. Hot breakfasts, stunning views and an onsite spa... what are you waiting for? Book a room already.